Soak dal overnight. The next morning, blend dal with ginger, green chilies, cumin seeds and fresh coriander into a coarse mixture. Add curry leaves, onion, roasted red chilli powder, coriander powder, turmeric, hing and salt. Mix well. 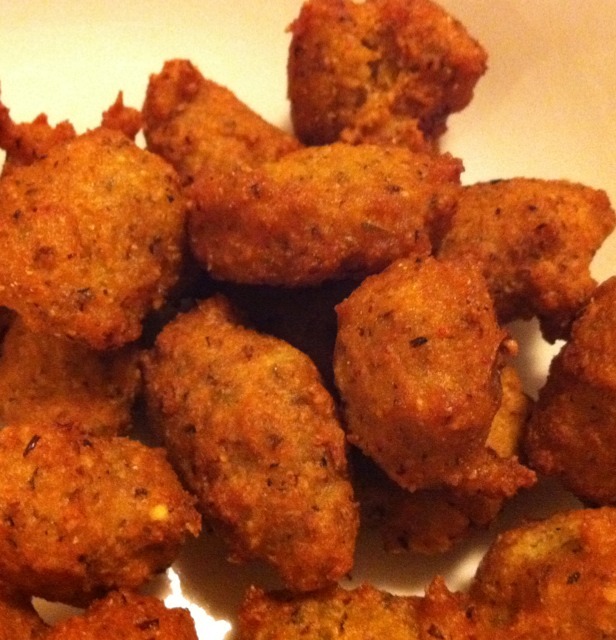 Shape into small balls and fry in hot oil. Drain on paper towels. Enjoy!